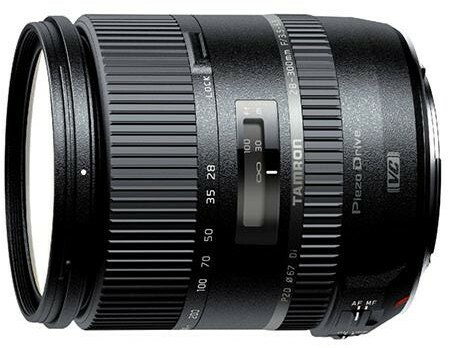 In addition to state-of-the-art optical design that facilitates downsizing of the lens body, the mechanical design leads to a smaller overall lens compared to the existing Tamron 28-300mm (Model A20). The incorporation of a highly sophisticated multi-stack-cam layout that takes up far less space as well as the PZD (Piezo Drive) AF, an autofocus drive system with a simpler, more compact structure, make it possible to reduce the overall dimensions of this lens. These technologies are the fruit of Tamron’s more than 20 years of research and development in the high-power zoom lens field. Tamron has upgraded the cosmetic design and finish of this lens to create a more sophisticated, high-end look in keeping with the demands of discerning full-frame DSLR users. Employing a sophisticated linear pattern rubber grip on the zoom and focus rings and an elegant tungsten silver brand ring, this newly designed model accentuates its visceral presence with understated elegance and class. Tamron’s acclaimed VC (Vibration Compensation) mechanism reduces image blur caused by camera shake to deliver significantly sharper images even when shooting handheld. Innovative All-In-One zoom integrates state-of-the-art optical design, PZD (Piezo Drive) and Tamron’s exclusive VC (Vibration Compensation) system to achieve superb image quality in a remarkably compact, lightweight package.the 28-300mm F/3.5-6.3 Di VC PZD (Model A010), an advanced new All-In-One zoom lens for full-frame DSLR cameras. The lens will be available in the U.S. in both Canon and Nikon mount (Sony mount availability to be announced) on June 26, 2014 at $849.